Civil War Books: CAMPAIGNS, Antietam, Chattanooga, Chancellorsville, Chickamauga, Cold Harbor, Fredericksburg, Gettysburg, Manassas, Bull Run, March to the Sea, Shenandoah Valley Campaigns, Shiloh, Siege of Atlanta, Siege of Richmond, Spotsylvania, Siege of Vicksburg, The Wilderness. Calore, Paul. 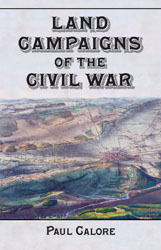 LAND CAMPAIGNS OF THE CIVIL WAR. . NEW copy, trade paperback. (Jefferson, NC: McFarland, 2012). 6x9, maps, appendix, bibliography, index, 272 pages. ~~~ This campaign-by-campaign analysis of the War Between the States presents the action from the opening shots at Fort Sumter to the furled flags at Appomattox. Battles both obscure and famous are examined in detail, covering each army’s move and countermove. 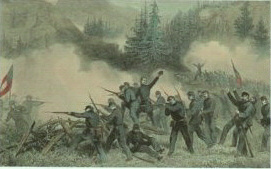 Commentary is provided on the individual battles with attention to the role each conflict played in the greater scheme of the campaign and the war. The chronological arrangement of the campaigns allows for ready reference regarding a single event or an entire series of campaigns. The text is both clear and thorough, focusing on strategy and military successes and failures. An introduction to the events leading up to the war lays the groundwork for the military analysis. Maps and an index are also included. [Camden Expedition] Michael J. Forsyth. THE CAMDEN EXPEDITION OF 1864 AND THE OPPORTUNITY LOST BY THE CONFEDERACY TO CHANGE THE CIVIL WAR. . NEW copy, trade paperback. (Jefferson, NC: McFarland, 2010). 7X10, 6 photographs, 6 maps, chronology, appendices, notes, bibliography, index, 222 pages. 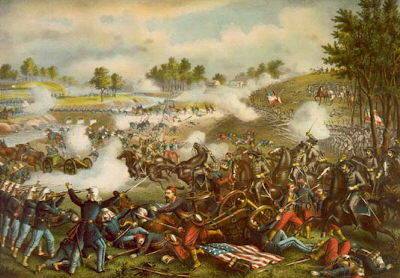 ~~~ The Confederacy had a great opportunity to turn the Civil War in its favor in 1864, but squandered this chance when it failed to finish off a Union army cornered in Louisiana because of concerns about another Union army coming south from Arkansas. 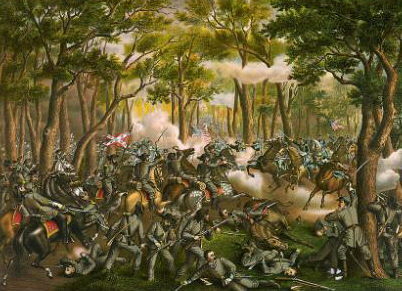 The Confederates were so confused that they could not agree on a course of action to contend with both threats, thus the Union offensive advancing from Arkansas saved the one in Louisiana and became known to history as the Camden Expedition. 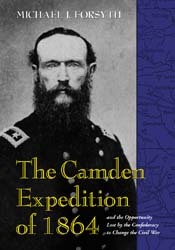 ~~~ The Camden Expedition is intriguing because of the "might-have-beens" had the key players made different decisions. The author contends that if Frederick Steele, commander of the Federal VII Army Corps, had not received a direct order from General Ulysses S. Grant to move south, disaster would have befallen not only the Army of the Gulf in Louisiana but the entire Union cause, and possibly would have prevented Abraham Lincoln from winning reelection. 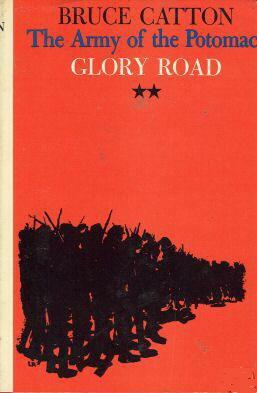 Catton, Bruce, GLORY ROAD: The Bloody Route from Fredericksburg to Gettysburg. Doubleday & Company, Inc., 1952. VG/VG. Apparent first edition. Minor chipping to jacket, which is in mylar protector. Original "$4.50" price still on jacket. Map on endpapers. Notes, three full-page maps, index, 416 pages. 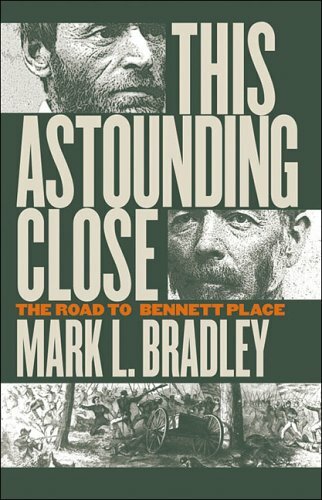 Bradley, Mark L., THIS ASTOUNDING CLOSE: The Road to Bennett Place. NEW copy, hardcover with dust jacket. 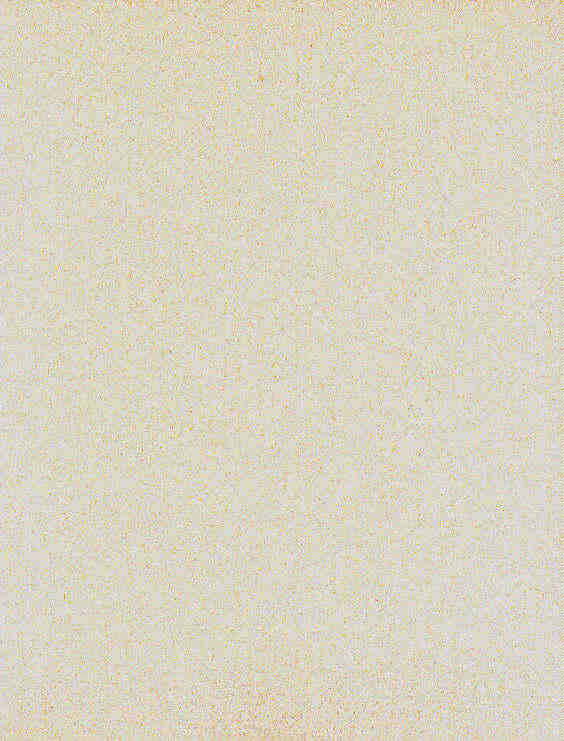 (Chapel Hill: University of North Carolina Press, 2000). Illistrations, appendices, extensive notes, bibliography, index, 404 pages. 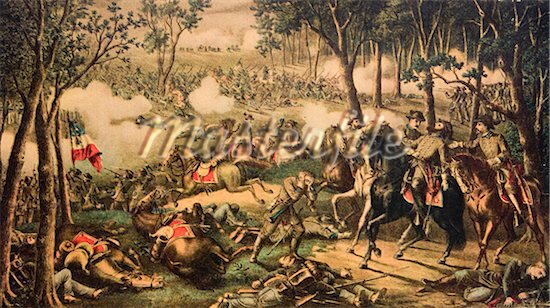 ~~~ Even after Lee surrendered to Grant at Appomattox, the Civil War continued to be fought, and surrenders negotiated, on different fronts. 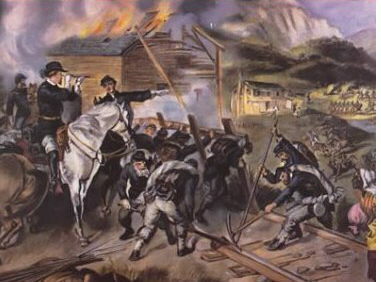 The most notable of these occurred at Bennett Place, near Durham, North Carolina, when Confederate General Joseph E. Johnston surrendered the Army of Tennessee to Union General William T. Sherman. 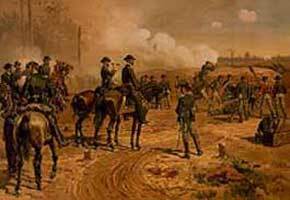 In this first full-length examination of the end of the war in North Carolina, Mark Bradley traces the campaign from the Battle of Bentonville in March 1865 to the surrender at Bennett Place on April 26. 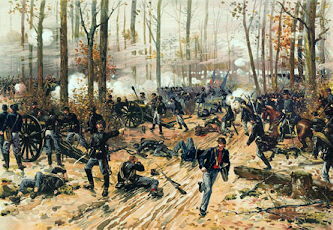 ~~~ Alternating between Union and Confederate points of view and drawing on his readings of primary sources, including eyewitness accounts and final muster rolls of the Army of Tennessee, Bradley depicts the action as it was experienced by the troops and the civilians in their path. 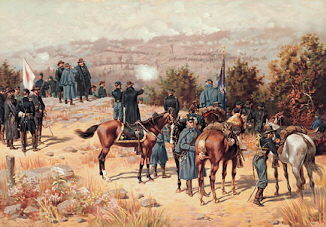 In addition to Generals Sherman and Johnston, he includes cameos of such Tar Heel State notables as Governor Zebulon B. Vance, Senator William A. Graham, and University of North Carolina president David L. Swain. ~~~ Currently in print at $37.50. 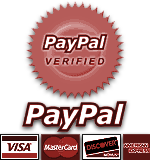 [Perryville] Robert P. Broadwater. 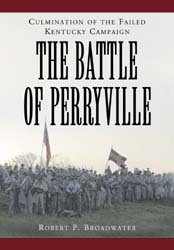 THE BATTLE OF PERRYVILLE, 1862: Culmination of the Failed Kentucky Campaign. . NEW copy, trade paperback. (Jefferson, NC: McFarland, 2011). 7x10, 49 photographs, appendices, notes, bibliography, index, 207 pages. 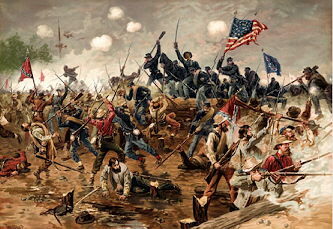 ~~~ In 1862, the South launched a campaign to bring the indecisive border state of Kentucky into the Confederacy. 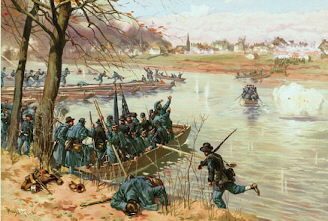 Full of blunders and missed opportunities, the campaign convinced the Kentuckians that the Confederacy was incapable of holding the state against determined Union forces. 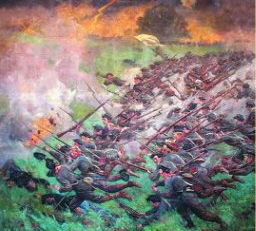 Among the disasters was the bloody battle of Perryville. 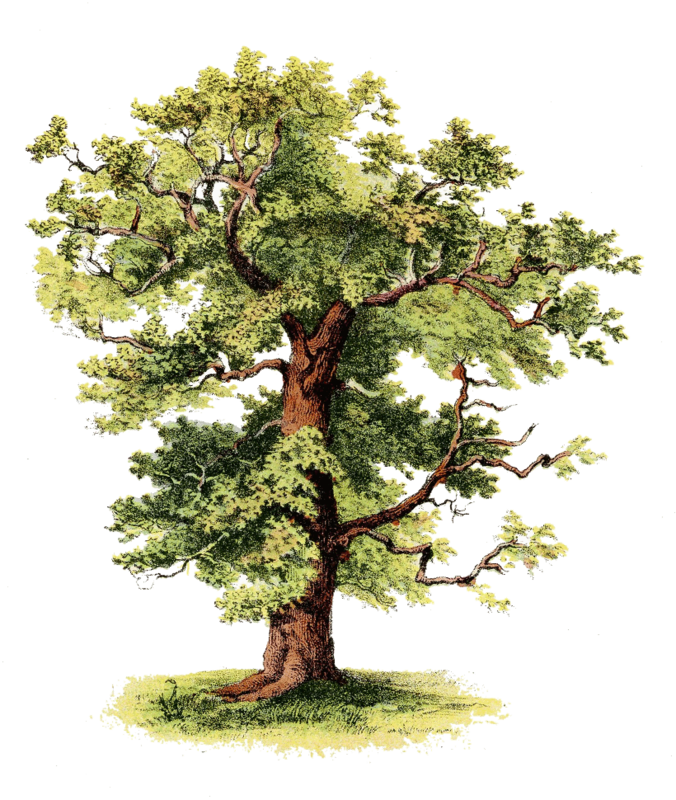 ~~~ Drawing on research in letters, diaries and regimental histories, this book tells the story of the South’s ill-fated effort. 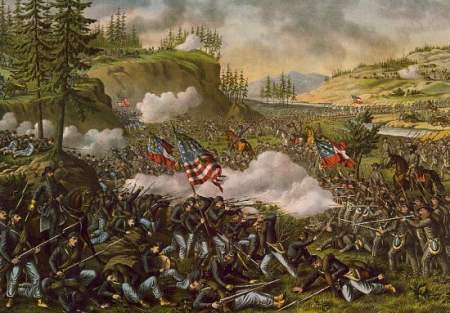 The main focus is Perryville, where inexperience on both sides and the lack of cohesive Confederate action turned what could easily have been a Southern victory into a disheartening retreat, forever relegating General Braxton Bragg to the annals of military mediocrity. Appendices include lists of Confederate and Union commands, strategic placements of the inexperienced regiments, and casualties. 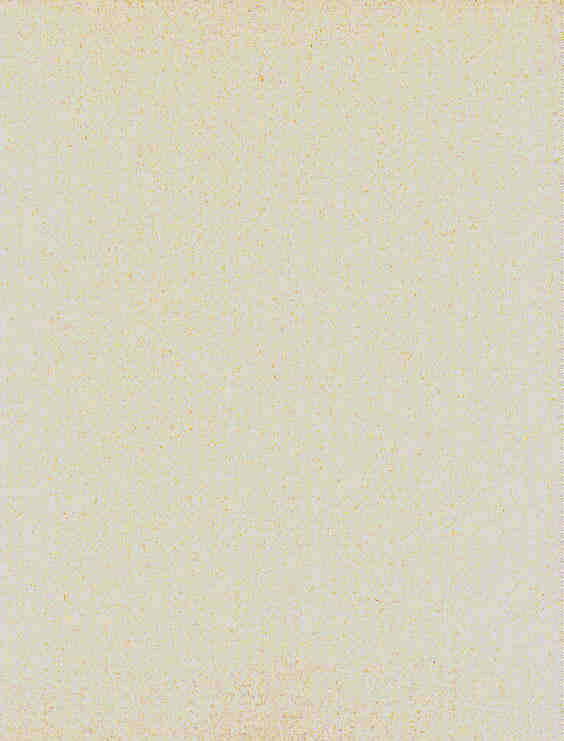 Photographs and an index are included. [Red River Campaign] Michael J. Forsyth. 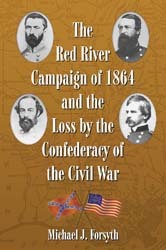 THE RED RIVER CAMPAIGN OF 1864 AND THE LOSS BY THE THE CONFEDERACY OF THE CIVIL WAR. . NEW copy, trade paperback. (Jefferson, NC: McFarland, 2010). 6x9, 13 photographs, 14 maps, appendices, notes, bibliography, index, 192 pages. 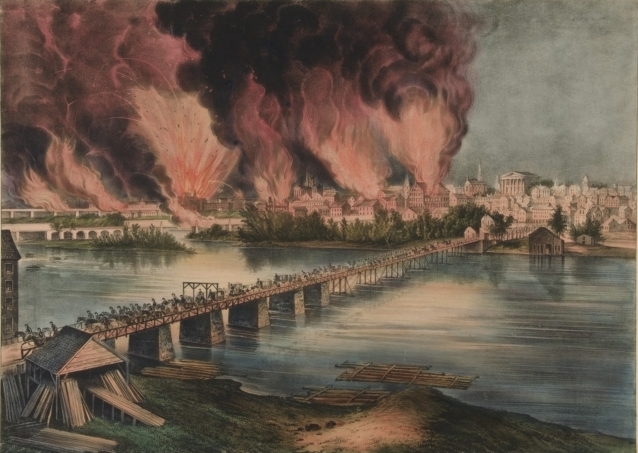 ~~~ The Union Army’s Red River Campaign began on March 12, 1864, with a two-pronged attack aimed at gaining control of Shreveport, Louisiana. 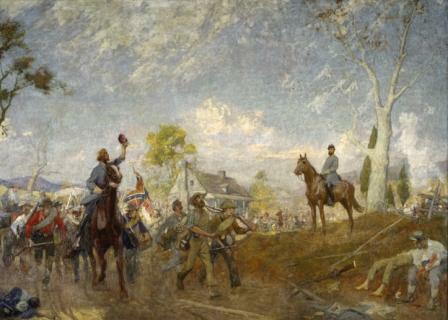 It lasted until May 22, 1864, when, after suffering significant casualties, the Union army retreated to Simmesport, Louisiana. 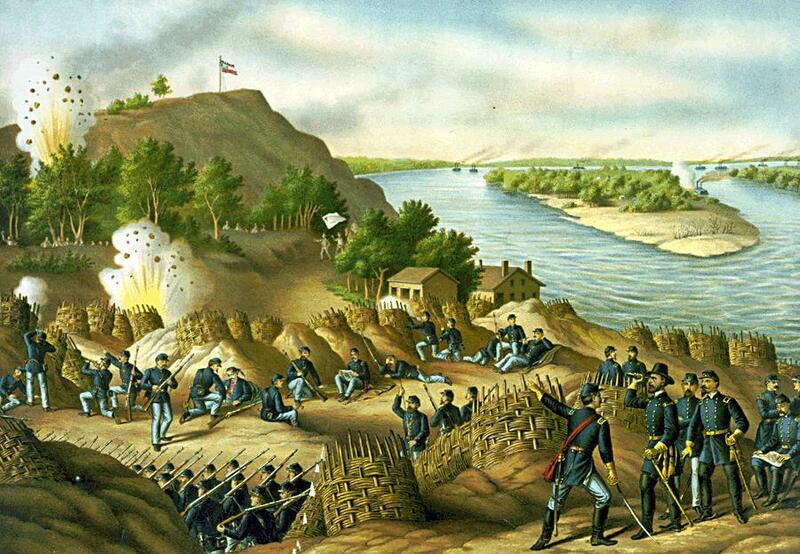 The campaign was an attempt to prevent Confederate alliance with the French in Mexico, deny supplies to Confederate forces, and secure vast quantities of Louisiana and Texas cotton for Northern mills. 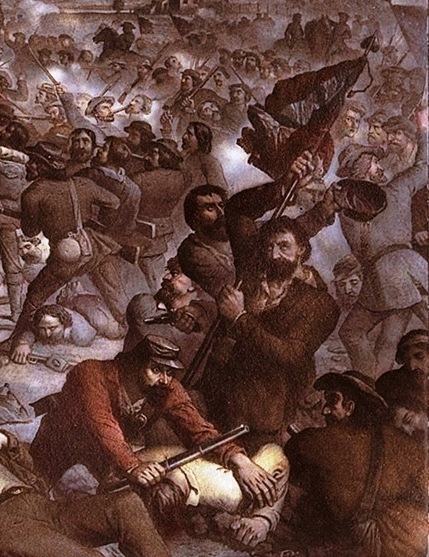 ~~~ With this examination of Confederate leadership and how it affected the Red River Campaign, the author argues against the standard assumption that the campaign had no major effect on the outcome of the war. In fact, the South had--and lost--an excellent opportunity to inflict a decisive defeat that might have changed the course of history. With this campaign as an ideal example, the politics of military decision-making in general are also analyzed. 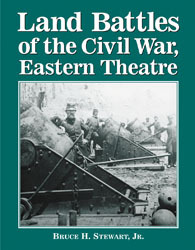 Stewart, Bruce H. LAND BATTLES OF THE CIVIL WAR, EASTERN THEATRE. . NEW copy, trade paperback. (Jefferson, NC: McFarland, 2011 ). 8.5x11 71 maps, notes, bibliography, index, 264 pages. ~~~ Beginning with the first battle at Fort Sumter, South Carolina, on April 12, 1861, when the Confederacy’s General Pierre G.T. 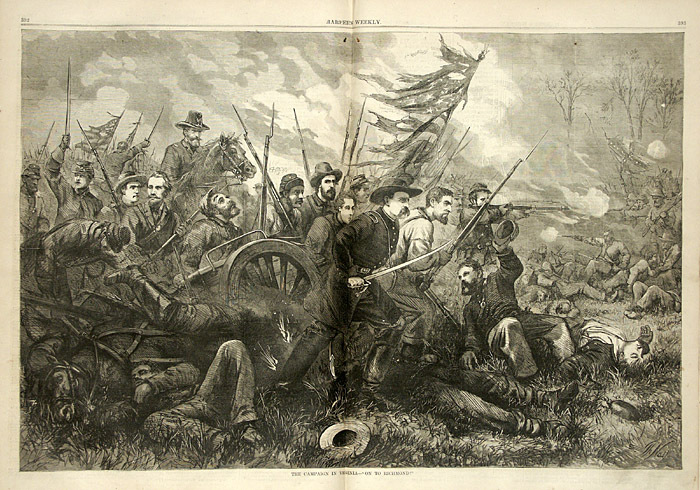 Beauregard and the Union’s Major Robert Anderson began the war, and ending with the last battle when the thoroughly beaten General Joseph E. Johnston surrendered to General William T. Sherman on April 26, 1865, this work--in excellent prose and with a keen sense of drama and will, crisis and fate--summarizes the action of the Civil War. 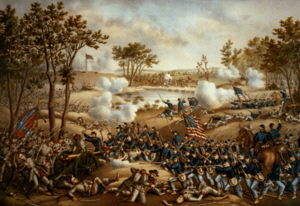 ~~~ In chronological order are descriptions of each battle-- infantry, artillery, and cavalry--and the names of the commanding and other Confederate and Union senior officers. Naval battles in open seas are excluded, although those battles that involved both infantry and naval forces are included. Also omitted are minor skirmishes, cavalry actions that might best be categorized as "raids," and all action in Florida and west of the Mississippi River.